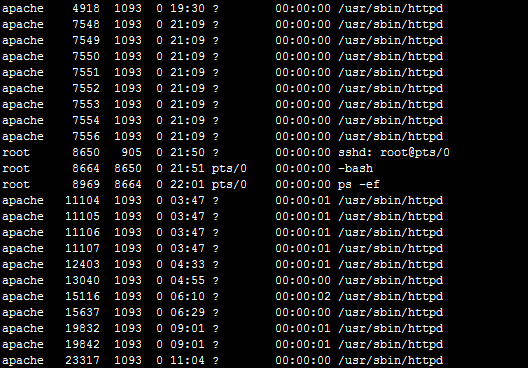 [root@localhost conf]# /etc/init.d/apachectl restartWARNING: ThreadsPerChild of 100 exceeds ThreadLimit value of 64threads, lowering ThreadsPerChild to 64. To increase, please see the ThreadLimit directive.WARNING: MaxClients (2000) is not an integer multiple of ThreadsPerChild (64), lowering MaxClients to 1984 for a maximum of 31 child processes,WARNING: MaxClients of 1984 would require 31 servers, and would exceed the ServerLimit value of 16. Automatically lowering MaxClients to 1024. To increase, please see the ServerLimit directive.